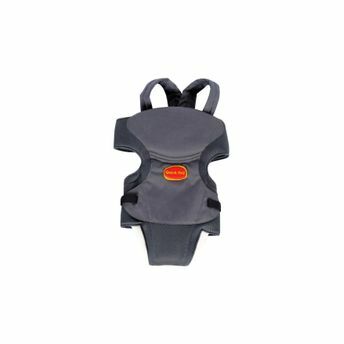 Carry your baby comfortably when outdoors with Quick Dry Baby Carrier. Perfectly designed to fit both baby and mom, this baby carrier comes as a saviour, while you are travelling and are in outdoors. It offers 3 comfortable positions in which you can carry your baby, without straining your back or neck. This baby carrier gives the highest level of long-wearing comfort for both you and your baby. A perfect solution for new parents and their baby who are ready to be on-the-go! Explore the entire range of Miscellaneous available on Nykaa. Shop more Quick Dry products here.You can browse through the complete world of Quick Dry Miscellaneous .